Next door to a Mosque, and in the heart of Studentlandia, Nile Valley has been doing cheap and filling food for nearly two decades. 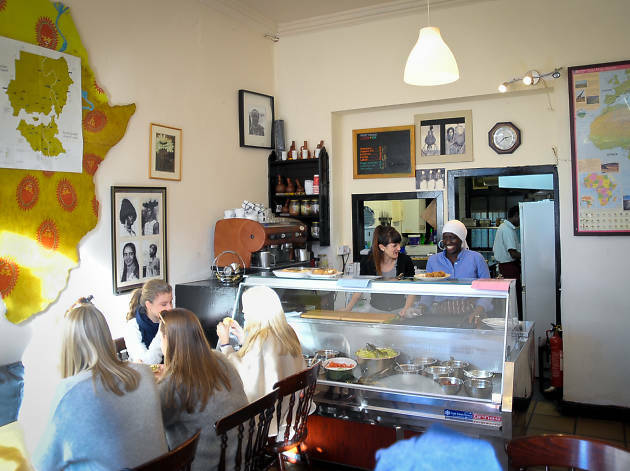 The formula hasn’t changed much since Nile Valley opened in 1996; it serves tasty Sudanese and Middle Eastern cuisine, and keeps the prices down. The bright yellow walls inside are covered with a mix of African art and festival flyers, a welcoming clutter of club night posters and woven hangings, even if it’s starting to look a bit dog-eared in places. You can struggle to get seated at packed lunchtimes, or feel rushed to wrap up if you do eventually find one, so evenings can be better. Hurried service aside, the staff are friendly and food is good - expect falafel and baba ganoush wraps, rich tagines, spicy Egyptian lamb molokhia, chicken wings, tabbouleh or fish curry. 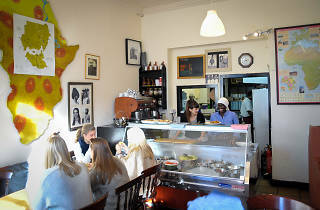 The baklava is recommended, as is the excellent mint tea and the thick Sudanese coffee for a potent caffeine hit. It’s BYOB too, with no charge for corkage.